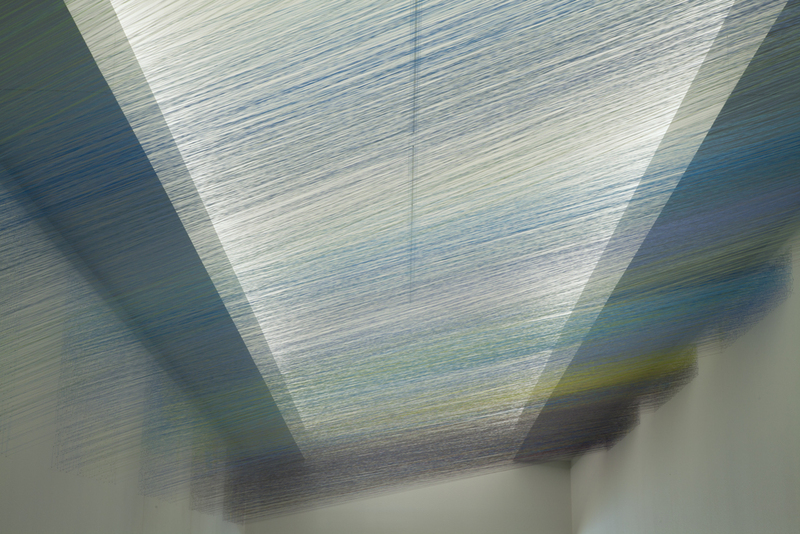 tilted sky is a fully immersive three-dimensional drawing in space that was conceived as a full spectrum experience for viewers to the museum. With the lighted barrel vault in mind, I bring an image of the sky into the interior of the museum. tilted sky begs the viewer to gaze up and to consider one's relationship to the universe while moving along it's changing density, color and position in space. 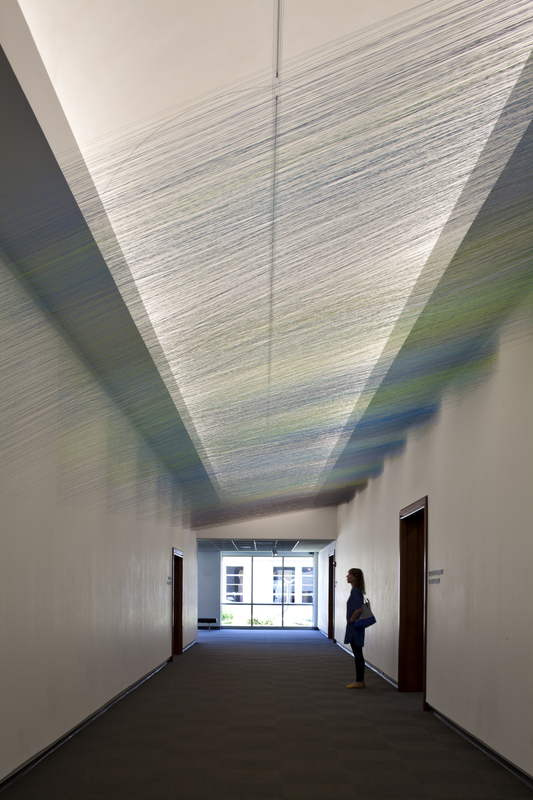 Above is a hovering series of sequential clouds of colored thread that span the gallery's width as they slowly tilt and lift up. My installations address color as a powerful expression of the subconscious, the spiritual, the physiological and the optical. They are essentially built with color, light and air, filament by filament through space. This immersive work gracefully summons an awareness of the body inspire whereby the eye and body are messengers of physical and emotional geographies. 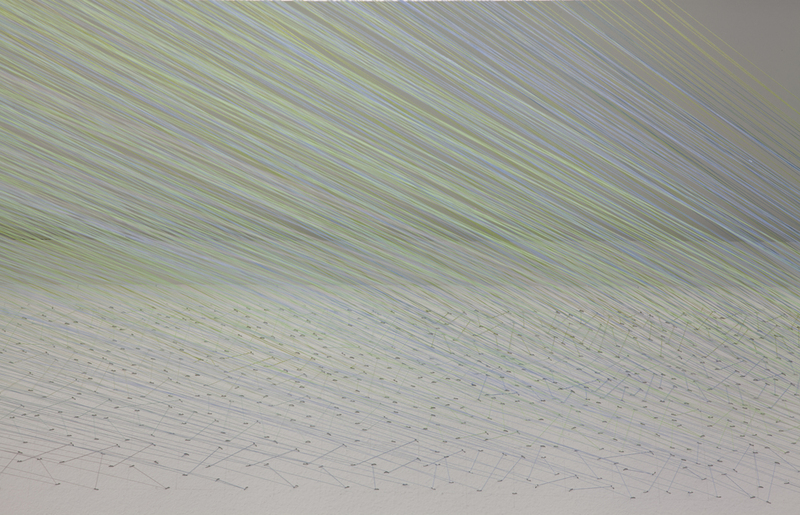 titled sky deepens the phenomenological and physiological underpinnings of my practice and positions my work within meaningful dialogue on drawing and it's many varying formats in contemporary art.